Can maps and new hardware save Nokia? 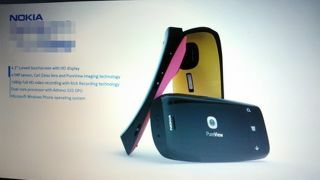 PureView phones are coming. Will they come soon enough? Terrible, terrible news from Nokia today: it's cutting another 10,000 jobs worldwide, bringing the total since 2010 to an astonishing 40,000. Key executives are going too, and Nokia has warned investors that its mobile losses this year are going to be bigger than expected. The parallels with beleaguered BlackBerry creator RIM are obvious: both firms are frantically shedding staff and cutting costs in a desperate attempt to stay afloat while they reposition. It's not just bad news for the firms concerned: it's also a warning to any firm that thinks it's the smartphone king. Both Nokia and RIM fell from grace, fast. Nokia's in a tough position, because while it's spending stacks of money trying to turn its business around, its new handsets aren't bringing in the money yet. According to the Wall Street Journal, "The company's credit was recently downgraded to junk status by credit rating companies Fitch and Standard & Poor's and to near-junk by Moody's." Nokia is hoping that two things will save it: Windows Phone, and its mapping business. Nokia's mapping platform, which it got by acquiring Navteq, is a superb thing - and it's going to replace Bing Maps on Windows Phones when WP8 launches. Maps are clearly a crucial feature of smartphones (for more evidence, look at the relish with which Apple's booting Google Maps out of iOS), and the promised 3D street navigation means that WP8 will have an immediate mapping advantage over iOS 6, which is losing street view in its native mapping app. Nokia is also keen to take its location platform to multiple industries. Maps aren't the only area where Nokia thinks it can beat its rivals: it's betting on imaging, too, and it's just announced plans to hire developers and acquire technology from the image editing firm Scalado, whose algorithms could work rather well with Nokia's PureView technology. Nokia has the hardware smarts, the mapping system and the imaging know-how to create something really special, and of course we're big fans of the Windows Phone OS too. The problem for Nokia isn't the products, however: it's the shareholders. Nokia is looking more vulnerable to a takeover than at any time in its recent history, and the markets certainly aren't against the idea: Nokia shares rose sharply last week over (since denied) rumours of a Microsoft or Samsung takeover. We can think of other candidates, though, such as a really big social network that's bloated with cash since its recent IPO. It'd be a shame if Nokia went through all this pain just to end up making Facebook phones.